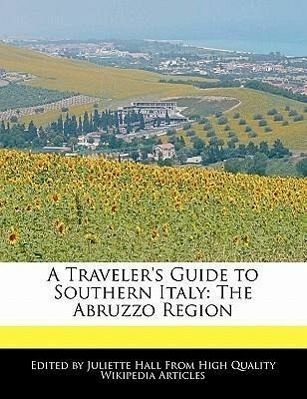 After an introduction to Southern Italy, this volume provides a look at the beautiful, mountainous region of Abruzzo. 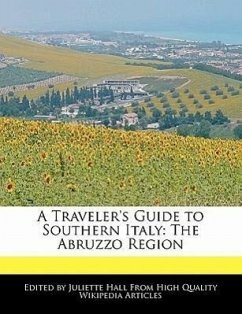 Included is a look at each province of the region and the region's prominent cities, including Teramo, L'Aquila, Pescara, and Sulmona. Also provided is a look at the great natural landmarks, including the Gran Sasso d'Italia and the Parco Nazionale d'Abruzzo. Project Webster represents a new publishing paradigm, allowing disparate content sources to be curated into cohesive, relevant, and informative books. To date, this content has been curated from Wikipedia articles and images under Creative Commons licensing, although as Project Webster continues to increase in scope and dimension, more licensed and public domain content is being added. We believe books such as this represent a new and exciting lexicon in the sharing of human knowledge.